Everything in this repack is either part of the LPC contest or taken from the LPC Tile Atlas. No new content but I found this packaging to be more friendly and useful for use with Tiled and Adobe Flash. Please see the text file copied from the LPC Tile Atlas. 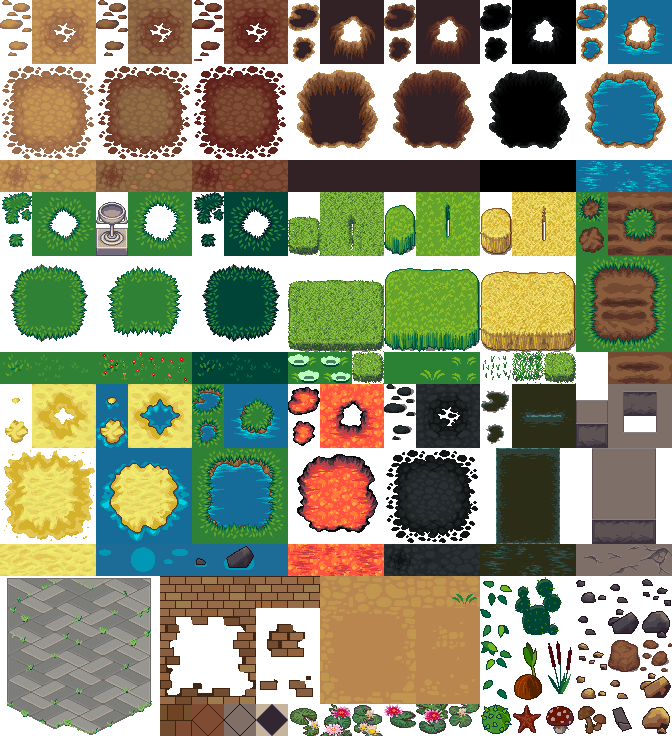 I take no credit for any of the graphics included here, I only repacked them using Tiled. Can you please tag it as "LPC"? Thanks for catching that. I forgot to put that in the tags. I haven't figured out how to use automapping yet, I'm still pretty new to Tiled. It's a neat program and it's easy enough to use. I think I'll use it for most of my game level design because I can actually understand it. As long as it works for the system that's using it I guess it's good. Thanks for the link, maybe someone will use it with Tiled. Eh sorry. It is not called automapping. It is called terrain brush. Automapping is a different more complex thing. Parts can. The bits that Sharm made can be used as CC-BY. I suppose sinse the whole thing can't be CC-BY it shouldn't be listed that way though. I'll fix that. Thanks for the correction. I've been using this as placeholder art for a game I'm working on and so far it's the best looking prototype I've ever made! Thanks to the artists and thanks to William for repacking this. 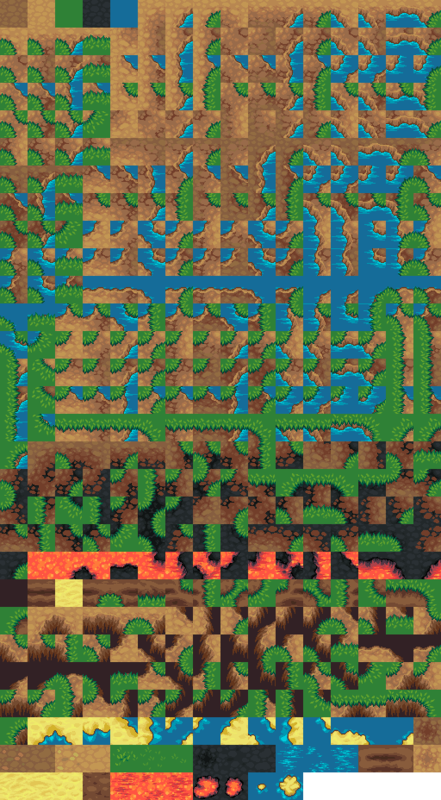 My game is procedurally generated and this atlas makes blending between tile-types a cinch! Jesus, this is some great stuff! Thanks mate! I will be using it in a project I'm working on right now to learn myself game programming! Great repack! I was wondering if anyone out there has a .tsx file to go with it? 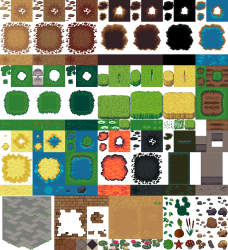 I'm new to Tiled and would like to use it for learning/prototyping my game.